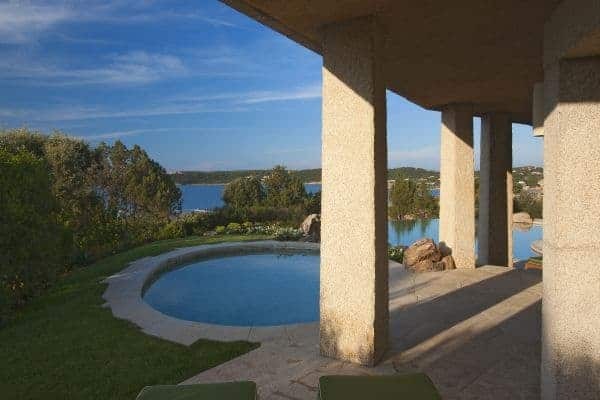 Adding another bow to the reputation of Porto Cervo, the long renowned holiday destination of the rich and famous that was created by the Aga Khan at the beginning of the 1960s, is a luxury villa that overlooks a crystalline bay cove and has also indescribable sea views and privileged privacy. 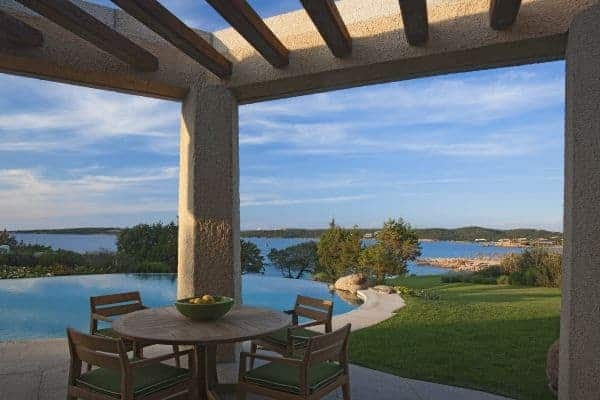 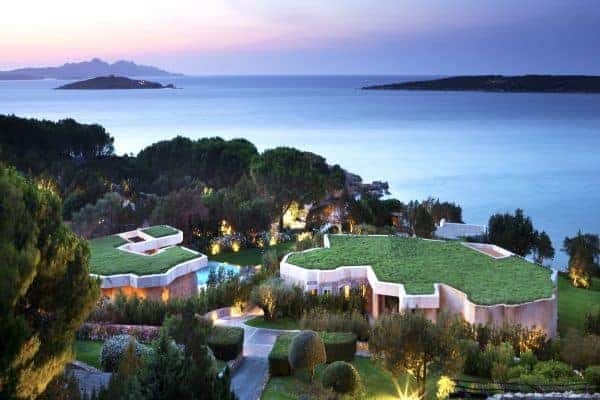 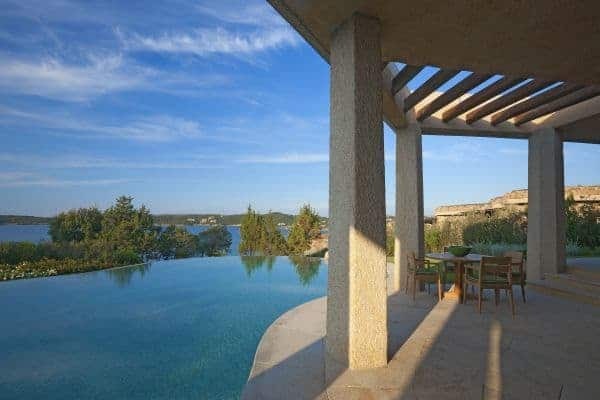 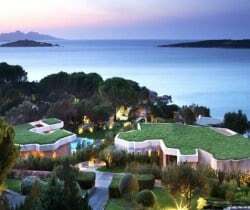 Porto Cervo is the heartbeat of the Costa Smeralda on the island’s north east coast, yet retains an air of exclusivity, just forty minutes’ drive from the international airport. 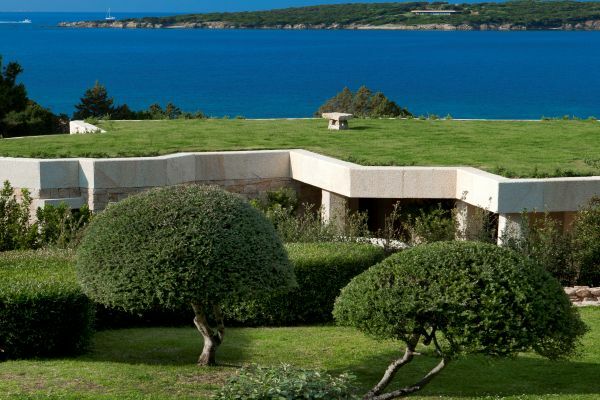 Nestling in the lush green landscape with unique grass-roof lawn – a camouflage that is a characteristic of the area – this is a luxury villa that blends beautifully into the environment and where tradition and innovation meld in elegant harmony. 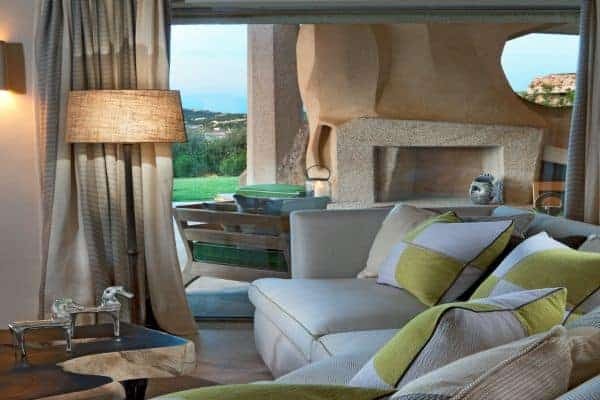 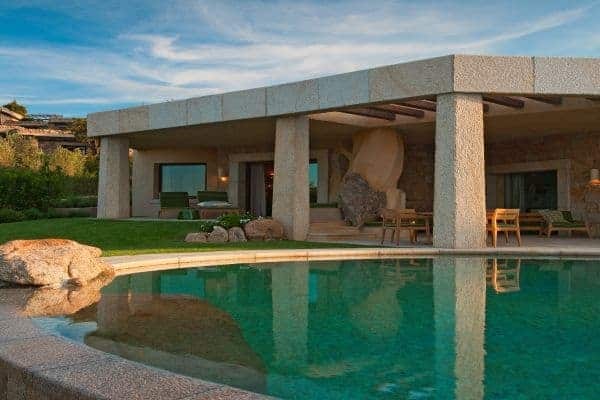 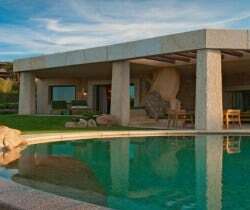 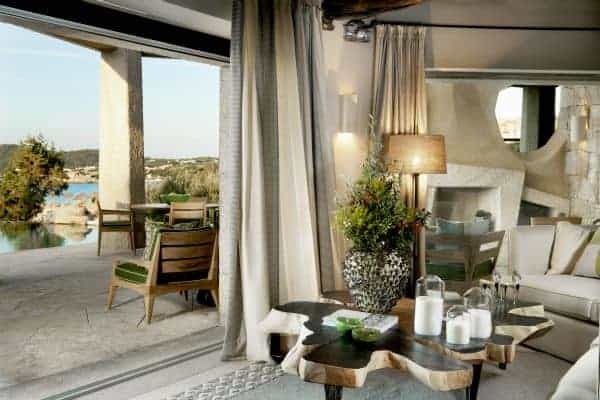 It is a contemporary luxury villa inspired by traditional Sardinian construction and designed for seamless transition between the indoor and outdoor spaces. 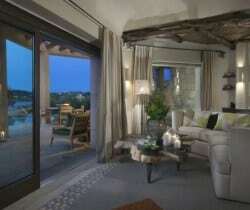 Invigorating and cool white rooms are in open plan layout and with sliding glazed openings. 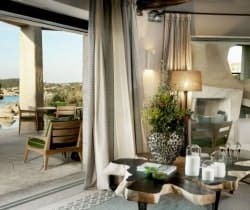 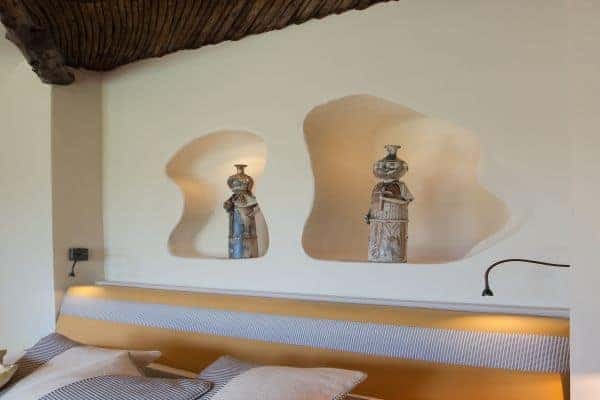 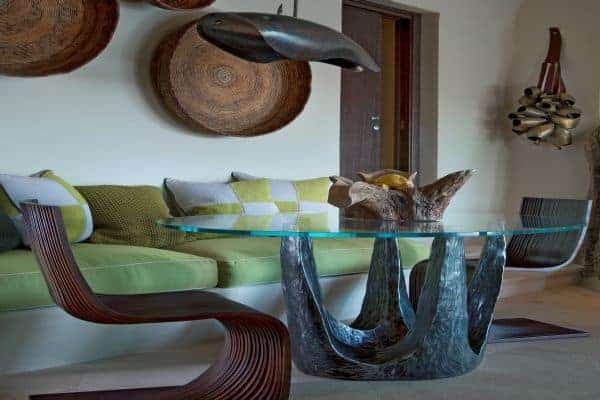 Carved walls inset with contemporary art pieces and modern, comfortable furniture that enhances the chic, modern ambience created by the décor and the arrangement of rooms that are allowed to stretch outdoors with seamless transition. 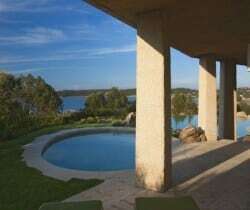 The masterstroke of the villa is its main, sea-facing terrace that offers superlative coastal vistas. 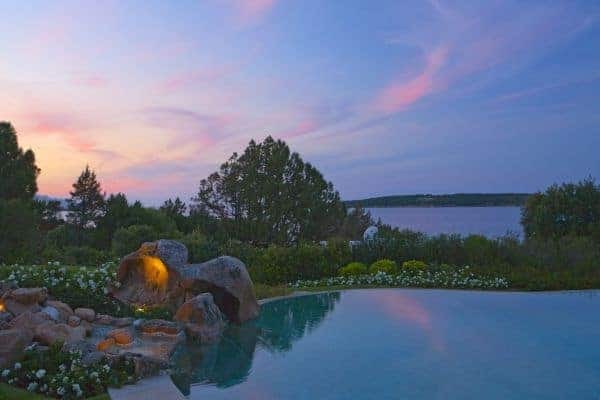 There are dining, lounging and sunbathing areas on the terrace, which is fronted by an adjacent, commodious swimming pool (heated) and an enormous, rotund inset Jacuzzi. 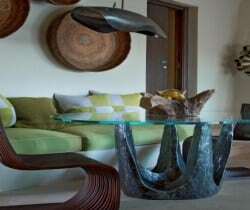 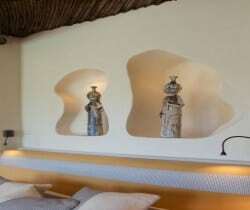 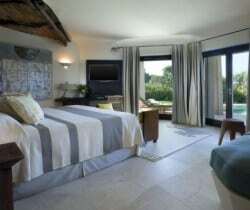 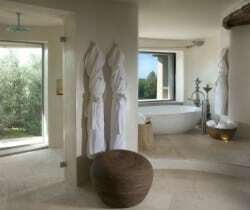 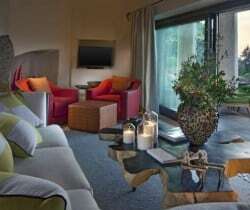 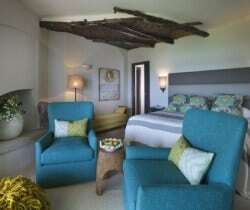 The luxury villa sleeps 4 in its 2 lavish and spacious suites, each arranged with delightful marble-clad bathrooms. 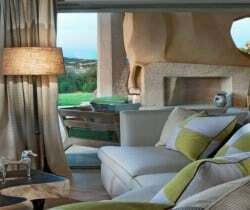 A personal butler is at hand to see to your every request with an attentive and discreet 24-hour service. 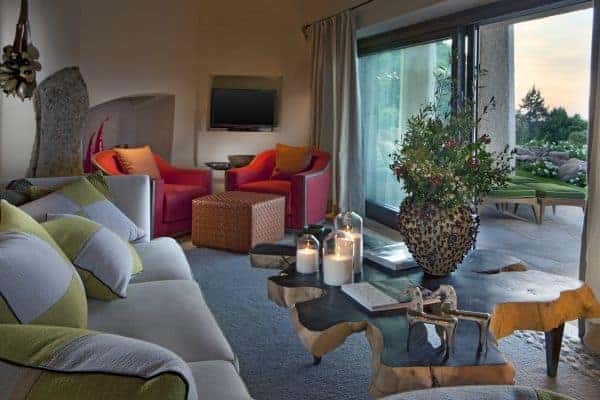 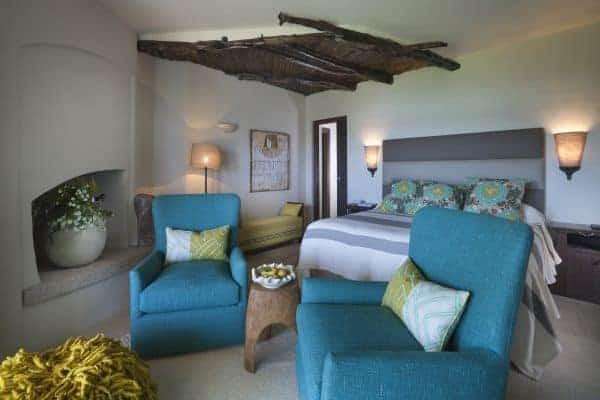 All you will need to do is relax, with your every whim catered to ensure you have a fabulous time in this sophisticated villa which sits in a compound with some few other villas, run by a famous villa-hotel company. 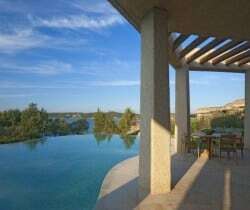 You can dine outside in style, looking out over the grounds sweeping down towards the bluffs of the cove. 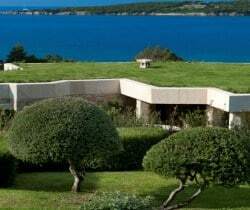 Up on the roof garden you may feel as if you can stretch up and touch the sky and down on the terrace you may well feel as if you are in heaven as you gaze out on to the pristine blue sky and emerald-green seascape. 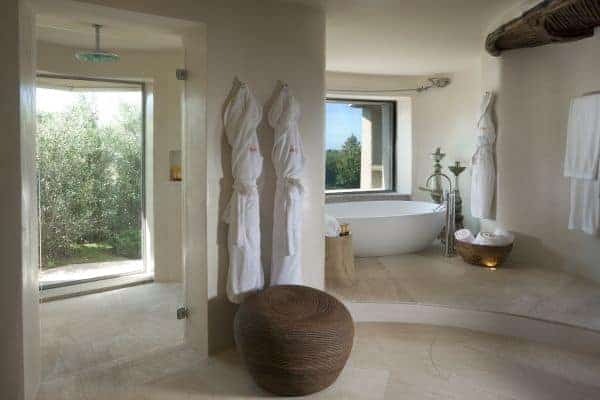 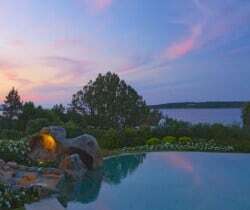 The luxury villa offers great serenity and privacy, which makes it a destination that is ideal for all who wish for a blissfully sublime holiday and total relaxation. 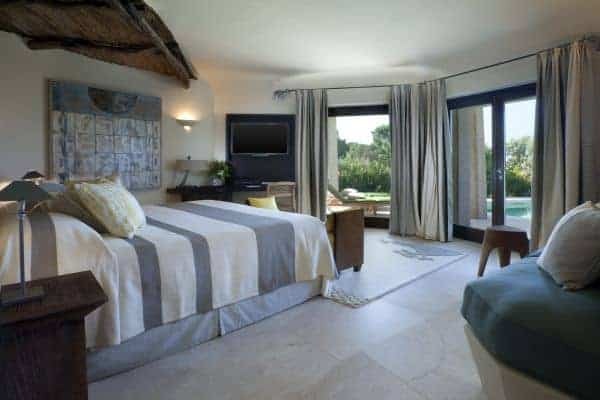 The villa is part of an exclusive villa-hotel resort and, whilst there is no kitchen in this property, guests enjoy the luxury of top-notch, five-star hotel service.